OCCASIN.COM is an online store/retail which is selling Computer & Electronics store. 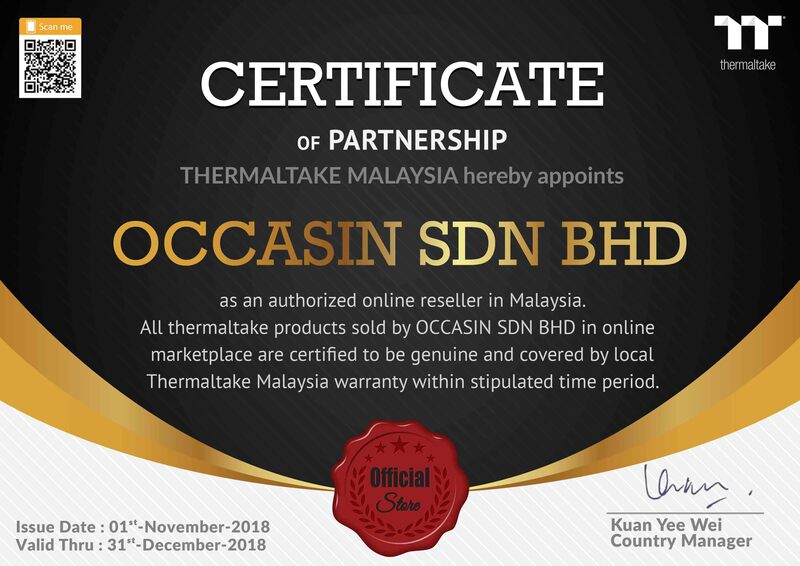 OCCASIN SDN BHD have been founded and established since 2014. We have been building elite PC's for gamers and enthusiasts for years before other PC makers knew such market exited. We have also been the only company that focuses in getting the best hardware money can buy or be sold over our retail shelves earlier than all our competitors. This has given us an edge where in an industry known for fast-paced, throw away technology. We are one of the preferred choices when it comes to shopping for some serious hardware and systems alike. We thank you for visiting the OCCASIN.COM. Whether your needs are for gaming, home life, entertainment, business, government or anything else. We can build a system that will meet your demands and surpass your expectations.